About a year back I moved to the UK. When I got here I realised my coinbase account could not be updated and changed to a UK account because of verification issues. Basically you cant verify a coinbase account in the United Kingdom with a South African passport if that makes sense. Because of this I was stuck for a while with no possible way to purchase crypto in the UK. As most of us crypto pioneer’s know it’s always useful to be able to grab some crypto on the fly, like ATM. A few day’s ago I was searching for a reliable way to quickly buy some bitcoin and found CoinCorner. Honestly I never thought buying some coin with fiat could ever be so simple. So simple in fact I figured it was worth writing this post and sharing. CoinCorner lets you buy- sell and manage your cryptocurrency portfolio with easy-to-use features. Overall the website is nice and clean and easy to use. As they claim, I found that it is very possible to buy bitcoin instantly with a credit or debit card! However, althou buying is instant it is important for me to tell you that you must verify your account before you can withdraw. Sign up for a free account with CoinCorner. Deposit GBP or EUR funds using your preferred payment method. I used my credit card. Use your balance to buy, sell, send/receive, store and transfer Bitcoin. All the popular options are available! 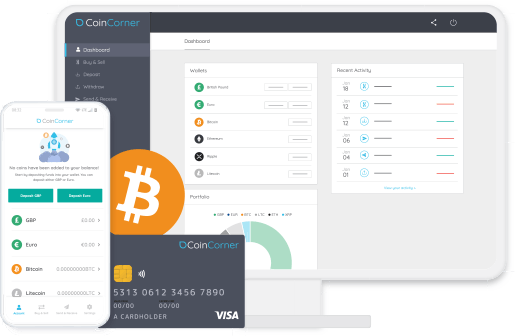 CoinCorner supports a number of major payment methods, including credit and debit card, bank transfer, SEPA and Neteller. So once I had registered I deposited GBP 50.00 to my new CoinCorner account. There was a small fee leaving a total available balance of GBP 48.75. As mentioned before I used my credit card and the balance was available instantly without any hassel. 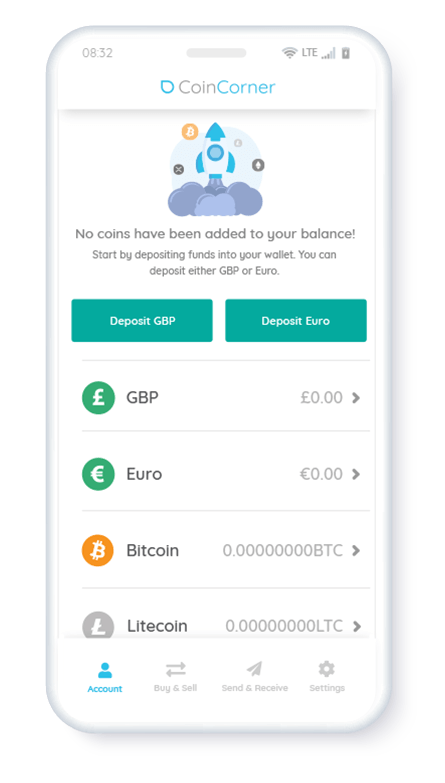 My conclusion so far is that using coincorner to purchase crypto using EURO or GBP is very simple and fast. But in order to withdraw your FIAT or CRYPTO you will need to verify your account first! At this point when I realised I had just deposited funds and exchanged to crypto without being able to withdraw I paniced a little bit. However verification was simple and fast, I uploaded the front side of my drivers licence and a utlity bill and my account was verified within a few minutes. For any investor, investing in 21st century gold it’s very important to enable 2-factor authentication as I am sure we all know. Coincorner made this quick and easy, I simply scanned the QR code with my google authenticator app and all done!Conclusion!!! Overall I must admit CoinCorner is a great way to buy crypto if you live in the EU or UK. It really is easy and fast to buy just remember you will need to verify your account before you can withdraw. I also like the fact that the site is minimilistic but very fubctional and easy to use. Thanks for reading I hope some you you find this info useful as I did.